Below you will find experts’ answers to the most common questions on garage doors. Why should I get openers with backup batteries? The system of the backup batteries is only a tiny device installed with the opener in order to prolong its automatic operation in blackouts. Wouldn't it be better to use the garage opener remote in order to gain access than searching for the release cord? Are there really openers activated by distance? Yes, some manufacturers have already produced garage door openers, which can be activated from a distance via your smartphone, computer or tablet. You just connect with the system in order to close the door or open the door from afar or even turn on/off the lights. 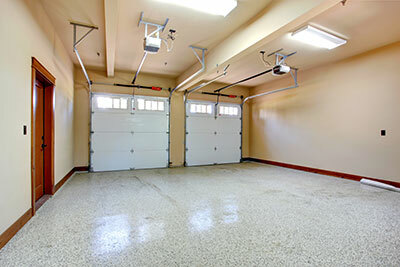 Which garage doors need less maintenance? Some materials are extra resistant and require less garage door maintenance. Galvanized steel and aluminum overhead doors won't require too much of your time because they are resistant to elements. The experts of our service provider in Shoreline would also suggest glass garage doors. They just need good cleaning but they will never erode. How many cycles do torsion springs last for? Most torsion spring garage door systems last for about 10,000 cycles. Some torsion springs, which are designed for commercial doors, may last for much longer and the experts of our company in Shorline would not recommend springs that last for fewer cycles. Why lubrication maintenance is important? Lubrication maintenance helps parts last much longer, keeps them in exceptional condition and protects them from corrosion. Lubricants are important because they keep them moving better and more smoothly. So, the movement of the door will not be noisy and you won't be dealing with rusty garage door parts. For these reasons, lubrication must not be neglected.